Stylish view property at Marinaside Resort! 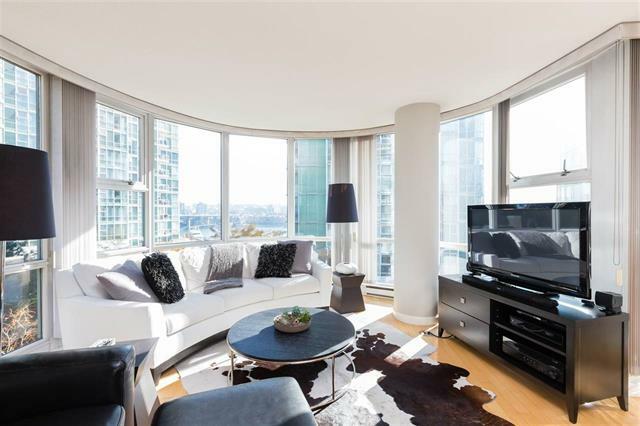 This well appointed condo faces SE with 2 bedrooms and den and solarium with over 1000SF of spacious living space and views of False Creek & gardens. Features include hardwood floors, floor to ceiling windows, lots of natural light, granite counters in kitchen & bathrooms, great size patio and designer lighting. Building amenities are top notch and include 24 hr concierge, indoor pool, jacuzzi, sauna, steam room, fitness center, theatre & billiard room. Live steps to Urban Fare, seawall, restaurants, Canada Line and all that the pulse of Yaletown has to offer. You'll love where you live! Open House Oct 27th/28th 2-4pm. Best Price per square foot in the development $1264/sf!